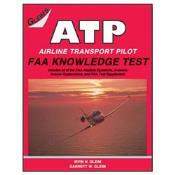 Gleim's Airline Transport Pilot Kit is designed to help you expedite your training for your airline transport pilot certificate. We offer a complete training program at a price you can afford. We prepare "user-friendly" self-study materials that are carefully designed to make it easy for you to learn and understand.